After visiting a Glo outlet or office to register your glo line, there's a way to find out if the registration was successful or not. Glo subscribers in Nigeria can follow these simple instruction to check the sim registration status of their glo line. 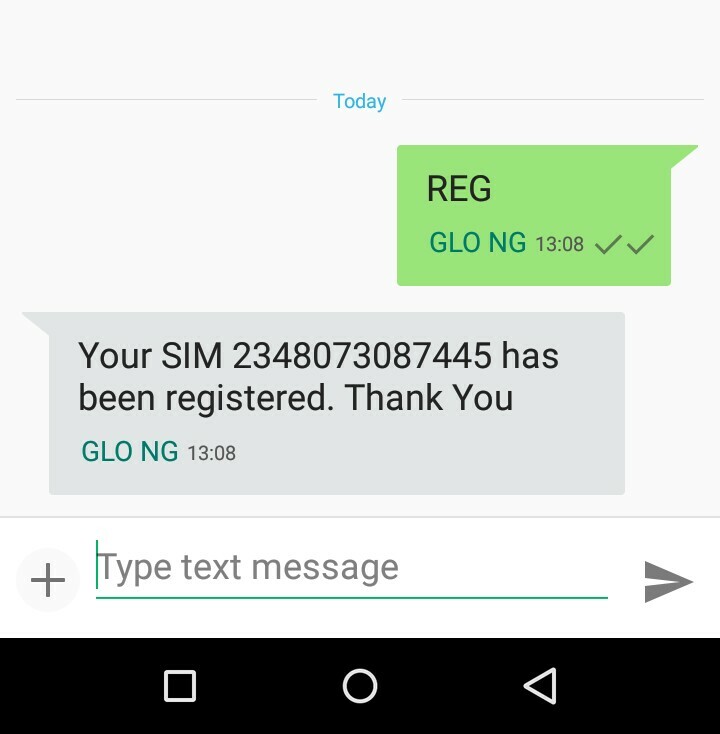 You can check the sim registration status of your glo line by typing "REG" without the quotes as a message to 746 or 3456. "Your SIM 2348073087445 has been registered. Thank You"
If this was helpful, let your friends know about it by sharing this page via any of the share buttons below this post.